Find out more about what roles are involved in Landside Operations at Manchester Airport. We believe every journey matters at the airport and our Landside Operations team here in Manchester work rain and shine to ensure a smooth running service. The team is made up of 3 areas, Car Park Operations, Customer Transport & Ground Transport. Team members are the first and last point of contact for our guests, and while we concentrate on delivering an efficient service 24/7 365 days a year, we are also fully committed to delivering the very best customer experience. We believe in our people to be friendly, helpful and a step ahead, so if you have what it takes and want to start your own journey at the airport, meet some of the team and find the right path for you in the opportunities below. The Meet & Greet team can move up to 3,500 vehicles a day or 900,000+ per year. The team is made up of Drivers, Receptionists, Key Masters and Team Managers who work 24/7 to deliver a stress-free car parking experience to our guests. Their responsibilities range from moving customer vehicles whether it be a Mini or a Mercedes, greeting our guests & ensuring a flying start to their journey! 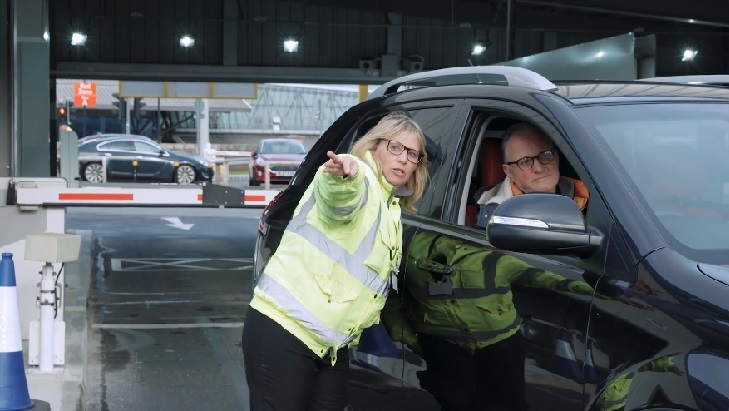 Our Marshalls ensure the safety of all road users from customers to employees, often providing directions, patrolling our road network and looking after our terminal forecourts. Working in all weather conditions any time of day or night we need our Marshalls to be alert, enjoy being part of a team and keen to point customers in the right direction. The control room team are the eyes and ears of the Landside Operation. Managing the entry and exit barriers, looking over an extensive network of CCTV and intercom systems and liaising closely with other Landside teams. You will need to have a passion for customer service as there will be interaction with guests, and great analytical and computer skills in this challenging role. We provide a 24/7 courtesy bus service to our customers and staff, carrying a total of 31,350 customers in a 24-hour period. This equates to travelling 1.4 million miles per year. We have a customer-focused team of Drivers who provide a fantastic service for everyone who uses it and are quick to assist in stacking luggage when required! Our drivers also operate Airside, so there will be the opportunity to complete training to drive on the Airfield next to the planes! Our Airfield Drivers transport up to 5600 passengers across the Airfield in one day. Our Trolley Operatives are out and about both Landside and Airside collecting and redistributing trolleys for our customers use. You will get plenty of steps in with this role and you will also need a good understanding of the airport site as our guests will often ask you for directions! A full UK licence with no more than 3 points is required for this role as you will also be trained on using our specialist trolley vehicle. Our Transfer product is a completely unique part of the operation at Manchester most commonly known as The Single Provider. It is the responsibility of the Single Provider to transfer cross terminal baggage in compliance with current DFT requirements ensuring that time sensitivity is maintained. We operate a fleet of 6 EBT’s (electronic baggage trucks) covering all 3 terminals. We transfer in the region of 372,000 bags per year, this service is growing rapidly in line with the operation of new routes opening in Manchester.